The practice of afternoon tea drinking is a tradition in itself and one that dates back many years as a quintessential British custom. This famous pastime offers a welcome break from a long day's work. Launching this month, Cinnamon Lakeside Colombo welcomes the celebration of this time-honored ritual as its beautiful lounge comes to life with a different flavour this April from 3pm to 6pm to serve High Tea in Italian style, a unique take on a timeless classic. Diners can enjoy a lavish afternoon tea in the elegant surroundings of CLC. 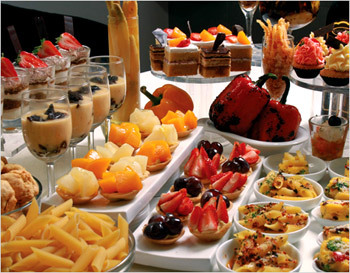 The Italian High Tea offers a chance to catch up with close friends while sampling a variety of Italian food. The neat bite sized portions allow diners to try them all before going for more. Diners are sure to be thrilled with this special promotion which adds a unique twist to the run of the mill High Tea experience. Apart from the traditional items such as finger sandwiches, savouries and a variety of hot tea, cold infused tea and hot or cold coffees, this month's scrumptious Italian High Tea includes Panna Cotta, Tiramisu, Amaretto Truffles, a delicious Triple Chocolate Mousse, Almond Cakes and Pies along with a one of a kind Lemon Pistachio cake, Semolina Cake and Limoncello Bread Pudding. Reunite with family, friends or colleagues over delightful snacks, exceptional tea or the hotel's famous iced coffee. The High Tea at CLC offers the perfect occasion to unwind over an exquisite selection of late afternoon treats. The Lounge allows one to enjoy a fantastic high tea whilst admiring the view of the lake from the warmth of the hotel.